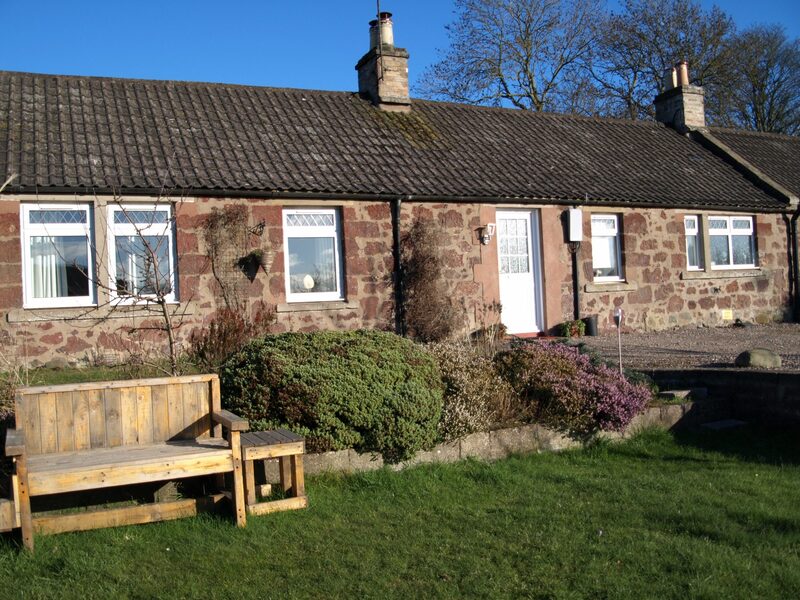 Kilbride Cottage is luxurious and comfortable making it ideal for summer or winter breaks. It has 2 bedrooms, a large bright lounge with wood burning stove, a modern kitchen and fresh bathroom. The cottage was completely renovated in 2018 to combine the character of a traditional 1850’s Farm workers cottage, with today’s more luxurious living standards. The fitted German kitchen includes a dining table, electric oven, induction hob, washing machine, dishwasher and fridge freezer. The central heating system provides instant hot water, and the cottage is well insulated so you’ll be cosy throughout your stay. Outside the partially enclosed garden is well stocked, with a beautiful flush of wild flowers, shrubs and fruit trees surrounding an outside seating area on the lawn. Perfect for relaxing after a days golf, walking, or exploring. 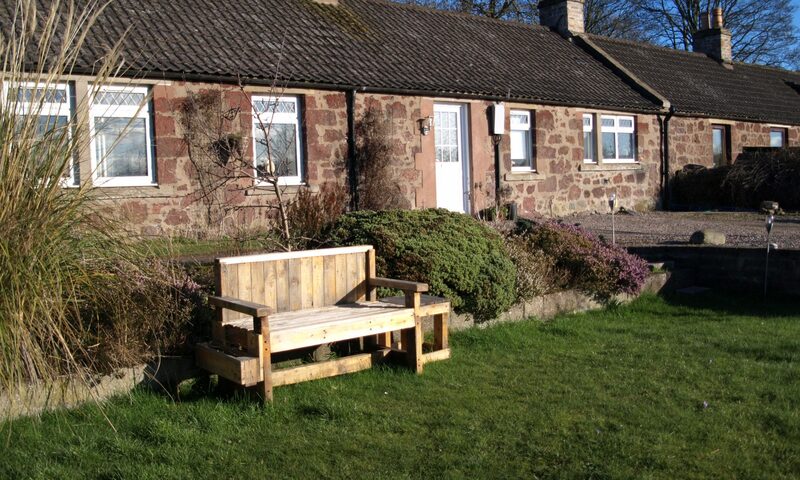 You can enjoy some of your purchases from Fife’s many local produce suppliers, distilleries and breweries while you soak in the view and watch the world go by. We like to support small local businesses so you’ll find that a lot of the artwork and decoration throughout the cottage is handmade by local crafts people, so the cottage is also a gallery! 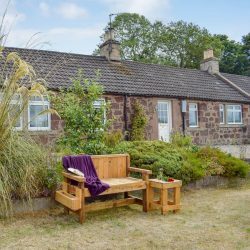 If there’s something you really love, check out the guest book as it may be for sale, and you might be able to take a little bit of your memorable holiday home with you!